Lots of people have the lower grille breaking / getting holes by simple daily driving. My dad eventually had large ones that couldn't be overlooked anymore. It's simply bad design by MB (or an money grab). They were quoting 300+ for the part and labour to fix it here in Canada (and it could easily happen again). We decided to do it ourselves with a spare metal mesh for free. 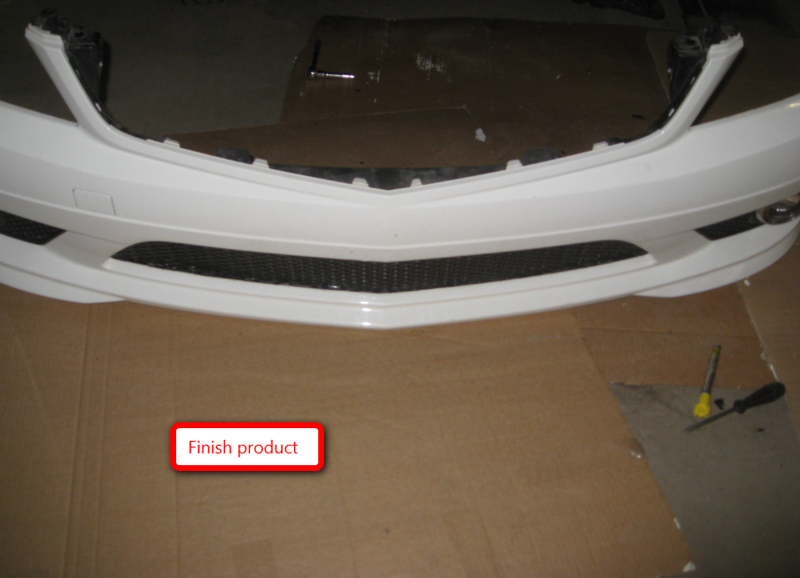 To remove the lower grille, you have to remove the front bumper. You actually have to follow many of the same steps to paint the upper "star" grill, and to clear out the corner signals. It might be worth it to do those mods at the same time. Remove the front bumper. A simple pdf is here. It wasn't 100% that clear, so I took some pics. Best to have 2 people. 10 mm and 8 mm socket and a flathead required. To fix the grill, we used a metal grill that we sprayed glossy black and clear coated. See Official DIY Painting Grill, and Here. "Step 3. 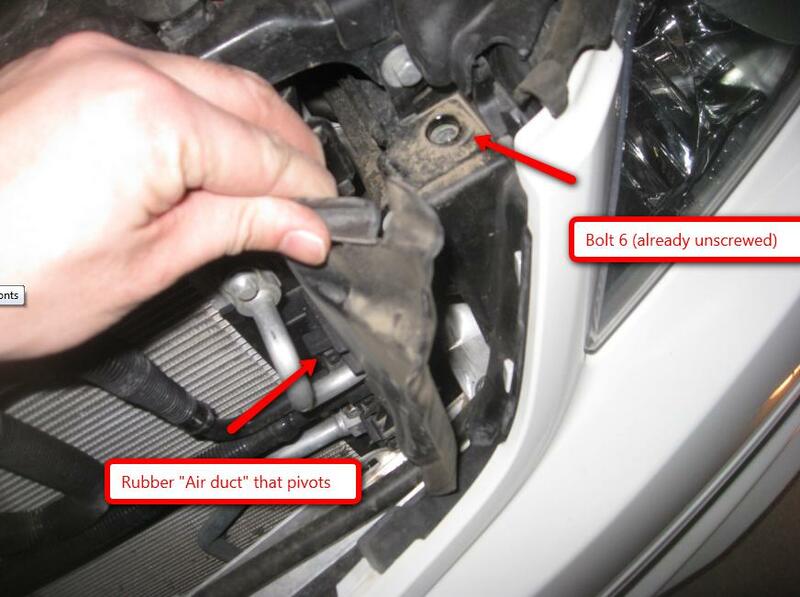 Pivot left and right air ducting to side and unscrew [one 10 mm] bolt [on each side]." "Step 4. 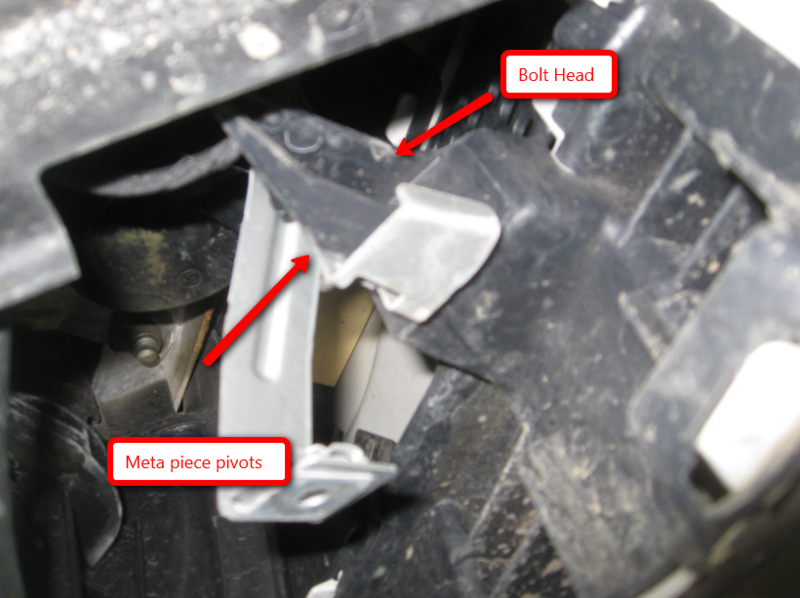 Loosen left and right fender liner in area of bumper and lift out with assembly wedge"
Basically, remove 3 plastic tabbed screws per side in the front wheel well. (similar to doing a clear signal light replacement). "Step 5. 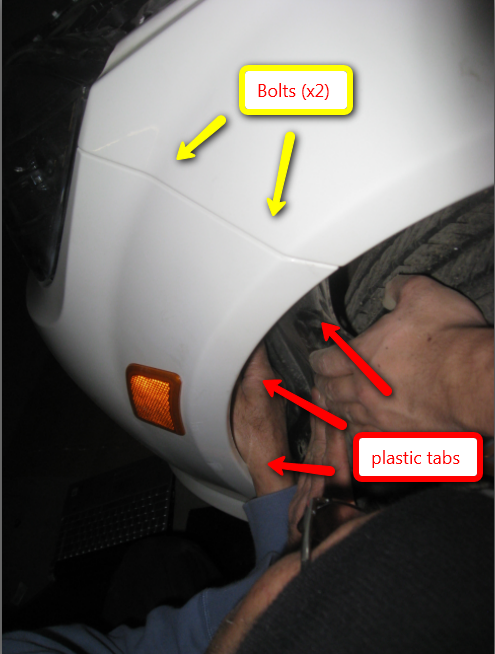 Remove [two 10 mm] bolts [per side]"
Now it doesn't state you need to remove the front plastic cover under the car, but I found it much easier to work with once I did so I recommend it. The front plastic cover is held on by 8 silver 8mm bolt. 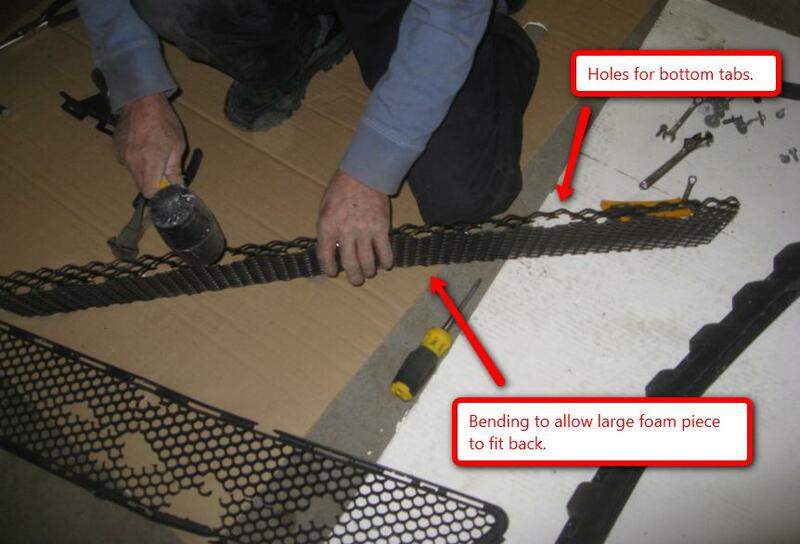 You have to do some shifting and slight bending of the plastic to get it loose. (Watch out for dirt falling in your eye, lol). There are also 2 smaller plastic covers in the corners held on with 1 plastic tab each. I recommend taking out that tab too. "Step 6. Remove parktronic" I don't have this, so no pics. 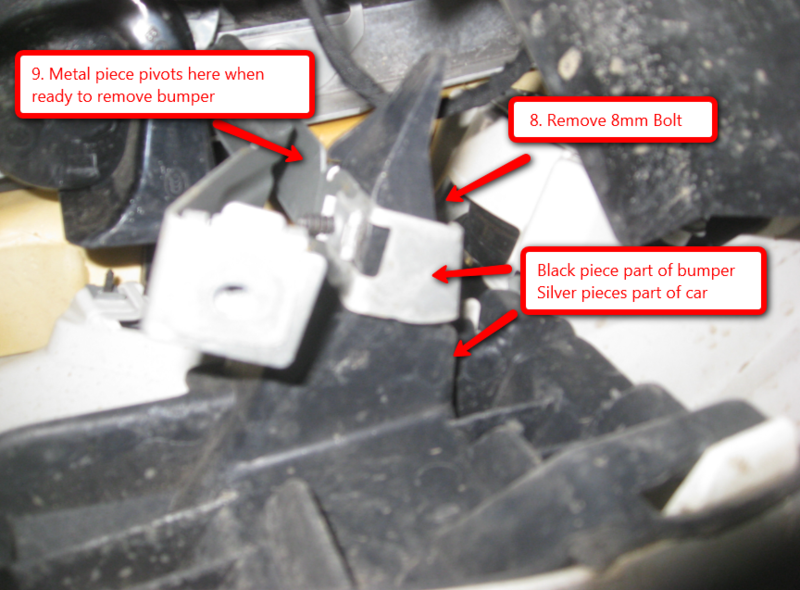 "Step 7, remove connectors to lights" - you can do this now, or if you have 2 people, wait until you have bumper removed (one person still holding the bumper in the air) and disconnect any electrical wires keeping the bumper to the car. "Step 8. Unscrew 8mm bolt on left and right bracket." "Step 9. Pivot left and right bracket toward outside and press bumper forward and remove"
Get under the car, and you'll see below. Now you have the bumper removed. Steps to fix the grill. Step 10. Remove broke grille. Basically there are 18 tabs holding in the grill. 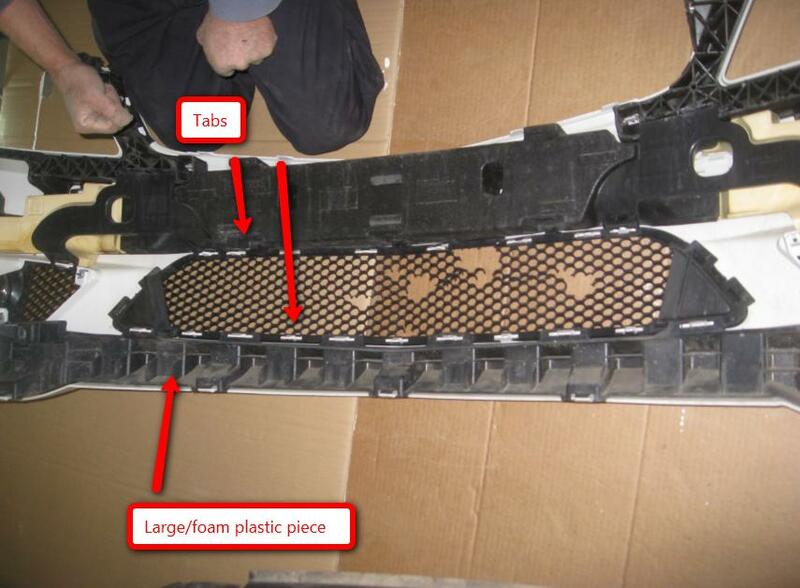 There is a large foam piece at the bottom held in with tabs too. New metal grill will lie where the old grill was. Cut out holes for all the tabs in the mesh. Step 12. Bend the mesh a little to allow the foam piece to fit back in. Step 13. 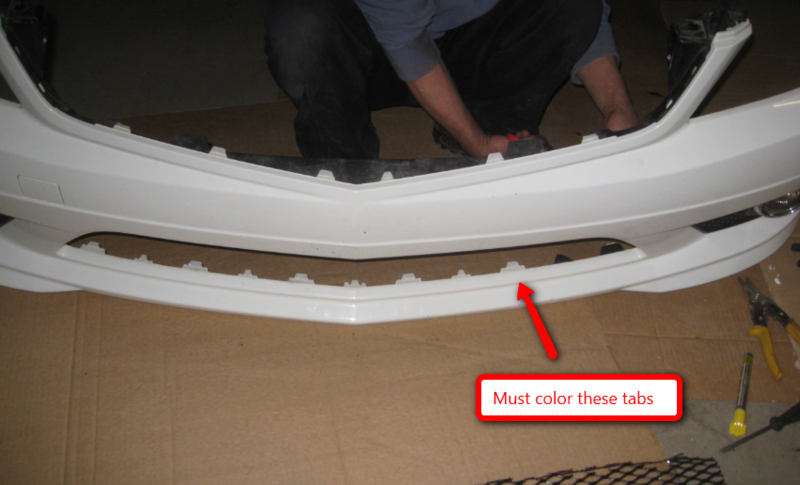 White tabs will be visible, so make them black with paint, or even e-tape. Step 14. Re-assemble and you're done. This thing is now solid and looks OEM. I'll take more pics of finished product later, came up to shower. Very nice.......I can believe so many people are breaking their grills though? Where are you all driving? Or is the plastic really that fragile? Search up lower grille, and you'll see people talk about it breaking. Maybe because we use the car up here in Canada winter, there is more debris on the road, and chance for small rocks to hit it. Took about 3.5 hours.. but I have basic mechanical knowledge, and a lot of trial and error. Putting it back took <20 min once we knew which bolts / locations we needed. Thank you for sharing. The info will be useful to me in the future. In Australia the lower grill is of a very solid design....more slots than mesh. Nice work and Im pretty sure people are going to use this information. My lower grill had a big hole from a metal piece hitting it on the highway so i took the bumper out and bought a new mesh grill. The roads here is NY are horrible. Can you take a picture of that? Amazed how many hits the lower grille took! I dont know it if is cutting cost or not, but my brother in law 09 e class grilled is made of metal, ours C is plastic. I believe the 2010 E-class is now plastic. Can you make a mesh for me? Ill pay for the meterials and shipping. I would be interested in this OEM grille if you are making it. perhaps good way to start you own little business . let me know if you would make one and what would be $$ cost for me. I rather use this one than replace with MB plastic one. looks awesome, bulletproof now for sure, not cheesy mb plastic. Make them...powdercoat them...and sell them! You would most likely gain a lot of sales. Nice work. this looks like a lot of work for me to do by myself but damn benz is so expensive! 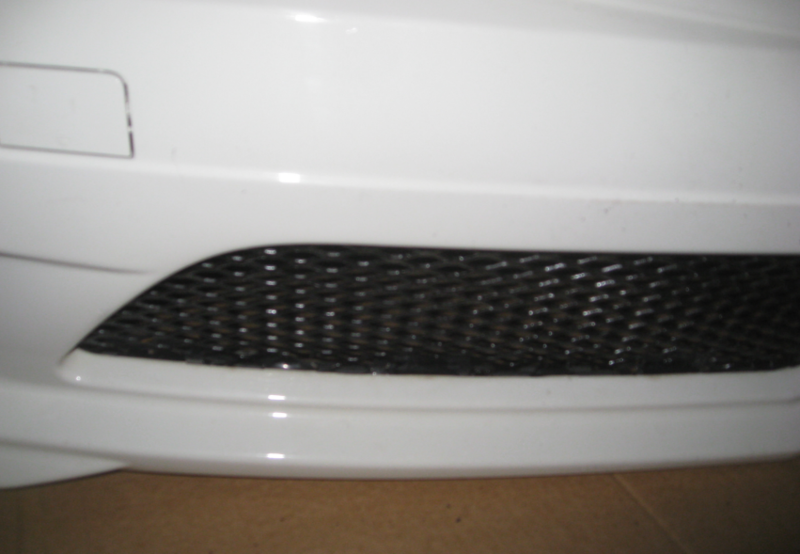 I have a small hole in the lower grille, body shop quoted me $200 with parts and labor. Should I go ahead and get it fixed or wait till it gets more holes? i have the same problem, i would love to do this myself but damn that bumper is a PITA !!!!! I finally got my broken lower grille replaced today at a body shop. Total cost me $200 including parts and labor and also the front MB star painted in matte black. The repplacment grill is $60 from dealer parts. Install is where the cost get jacked up. 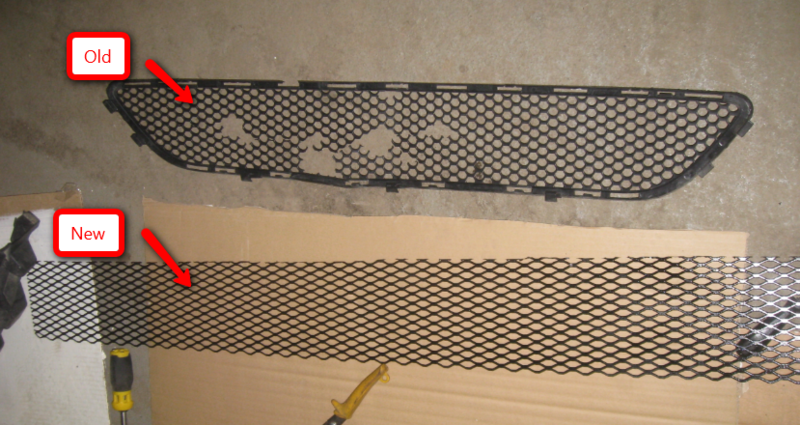 Hello, I red your post about the lower grill, but I found it hard to remove the old grill, what is the trick to get it loose from underneath, do I need a screw driver and simply push those small clips? I need a new lower grill for my 2008 C350 Sport, do you make those now? I just damaged and will have to remove my mesh and have it replaced. Dealer quoted me around 75 for the part, but the farm out their body work to a local shop. Anyway...anyone know what that "thing" is behind the mesh grate? Looks like a large Hershey's Kiss? Some sort of sensor or maybe the outside temperature sensor? Thanks for the DIY post, it looks like this may be a DIY for me. I'll be doing this once the weather warms up and there is no more debris on the roads!